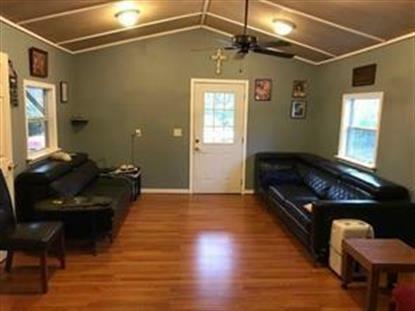 for $89,900 with 2 bedrooms and 1 full bath, 1 half bath. This 1,116 square foot home was built in 2015 on a lot size of 31000 Sqft..
Look no further this property is perfect for a small business. Why pay to store your small equipment. Great unrestricted property with almost 3/4 acre. NEVER FLOODED!!! Looks like a manufactured home but it's not. Built 2-3 years ago by the seller. 2-bedrooms, 1.5 baths, large kitchen and living area. Multiple works shops/storage buildings with power. Property is in the 100-year floodplain, however, the property is built up on blocks and never flooded.